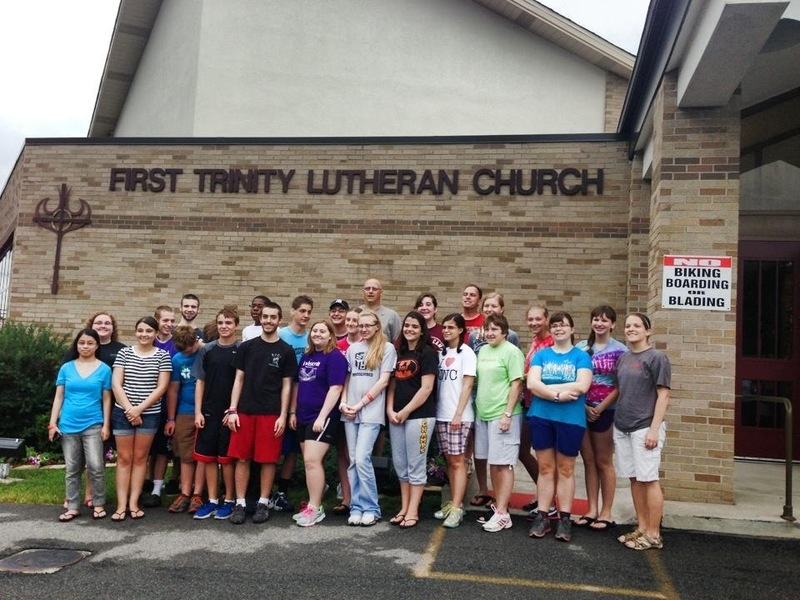 Our youth mission team got back from Workcamp this Sunday! It was an amazing week with countless stories of God at work in and through the 25 youth and adults that attended. The theme of the week was “What Do You Stand For?” and each day of our trip we had chances to explore how Jesus stands for us and what he calls us each individually to stand for. Throughout the coming weeks leading up to our Workcamp Sharing Event in worship services on August 17 and 18, I’ll be sharing here some reflections from the participants about their week. Today I’m going to kick things off with some of my own reflections. I stand for celebrating the gift of each day God gives me to be alive. I stand for resting in God’s presence and taking care of myself so that I’m able to care for others. I stand for who God has created me to be, refusing to live seeking the approval of anyone but Him. I stand for speaking only words that build others up and make souls stronger. I stand for those in need; for those who can’t stand for themselves. I stand for seeking the wisdom and truth of Christ, not worldly “wisdom”. I stand for running to Christ in times of need. I stand for being okay with needing help and surrounding myself with those who will strengthen and sharpen me. I stand for those who stand for me. I stand for investing boldly in the lives of others. I stand for God’s Word and prayer. I stand for those who don’t know Christ and for helping people know Him for the first time and a lifetime. I stand for having my priorities in the right order. I stand for seeking and giving forgiveness. I stand for what I’m called and created to do. I stand for my teammates. I stand for high schoolers. I stand for young adults. I stand for parents of high schoolers and young adults. I stand for helping others find the identity that God has given them and break free from the lies of Satan. I stand for laughter and fun!